I think I may have a little-itty-bitty problem. It is not a serious problem, but it is a little consuming. 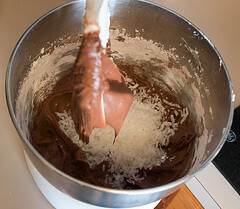 I can’t seem to stop craving chocolate and coconut. 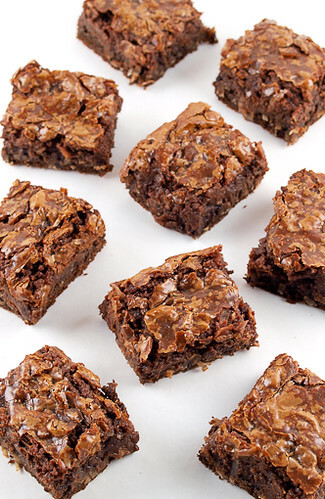 With that said, please excuse me for yet another chocolate and coconut dessert. I pinky-swear that the next few desserts will be sans coconut, and I am pretty sure pinky-swears are legally binding. What is really funny about this dessert is I was thinking of the composition of lemon bars when I came up with it. 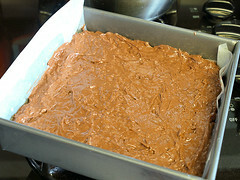 I wanted a sturdy base topped with a silky layer of coconut chocolate goodness. 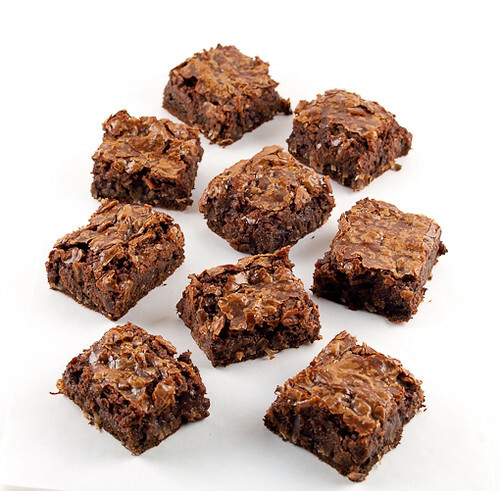 For a change of pace, and to give these bars a less intense flavor, I used natural cocoa powder rather than Dutch-processed. 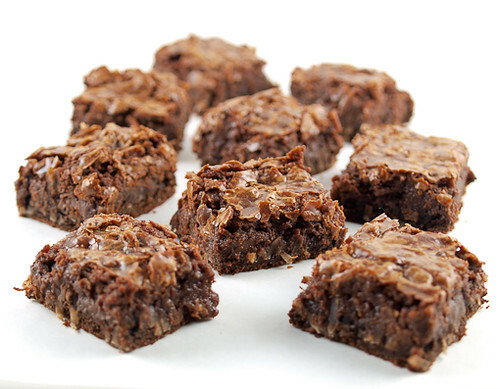 I like the fruity notes of natural cocoa here because it pairs so well with coconut. 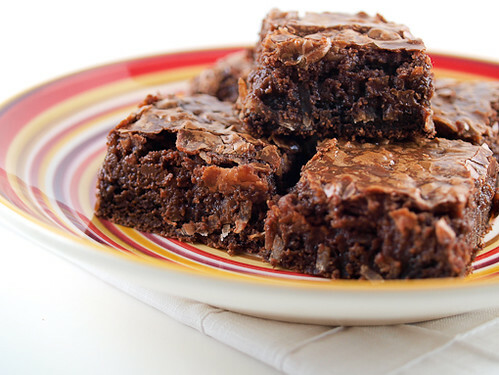 The best advice I can give you for these bars is this: do not over-bake them. They need to be set at the sides but jiggly in the center. Trust me, things will firm up after cooling. If you wait for the center to firm up in the oven the edges will become hard as a rock … I speak from (very sad) experience. 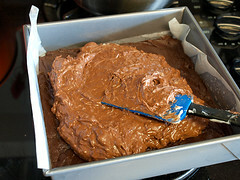 Heat the oven to 350 F and spray an 8″x8″ square pan with non-stick cooking spray. Line the pan with parchment paper, leaving a 2-inch overhang on the sides, and spray the paper with non-stick cooking spray. 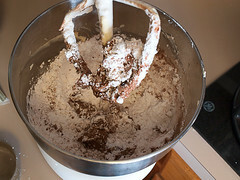 In a medium bowl combine the flour, cocoa powder, baking powder, baking soda, salt, and sugar until evenly combined. 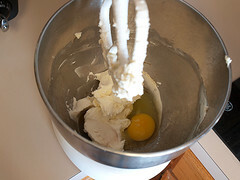 Add the butter, egg, vanilla, and almond extract and mix until the mixture forms a stiff dough. 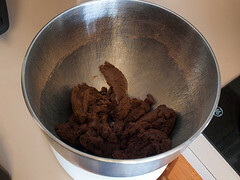 Carefully press the dough evenly into the prepared pan. Set aside. 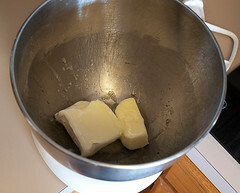 For the topping, cream together the cream cheese and butter in a medium bowl until smooth. 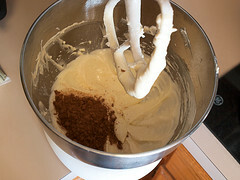 Add egg and mix well, then add the cocoa powder and vanilla and mix until well blended. 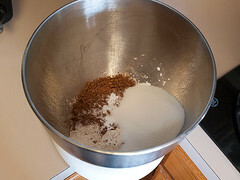 Slowly beat in the powdered sugar until smooth then fold int he coconut. Spread the topping evenly over the base then bake for 35 to 40 minutes, or until the edges are just set and the center is a little wobbly. 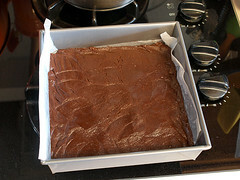 Cool for 40 minutes in the pan before lifting out and slicing.